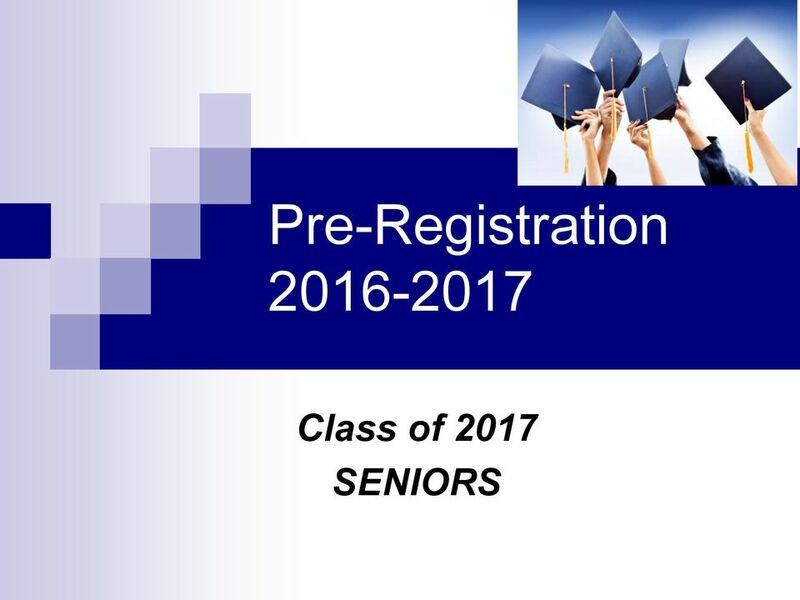 Download "Pre-Registration 2016-2017. 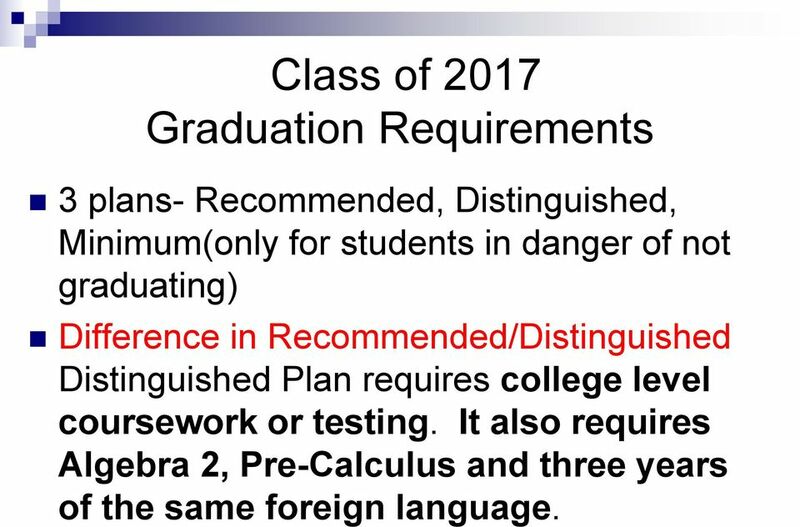 Class of 2017 SENIORS"
4 Class of 2017 Graduation Requirements 3 plans- Recommended, Distinguished, Minimum(only for students in danger of not graduating) Difference in Recommended/Distinguished Distinguished Plan requires college level coursework or testing. It also requires Algebra 2, Pre-Calculus and three years of the same foreign language. 7 NOTICE Earning a C in a college level course does NOT qualify. 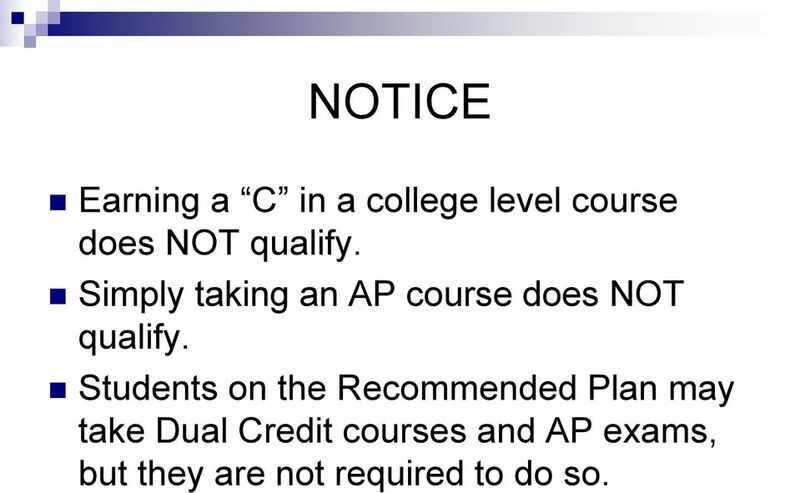 Simply taking an AP course does NOT qualify. 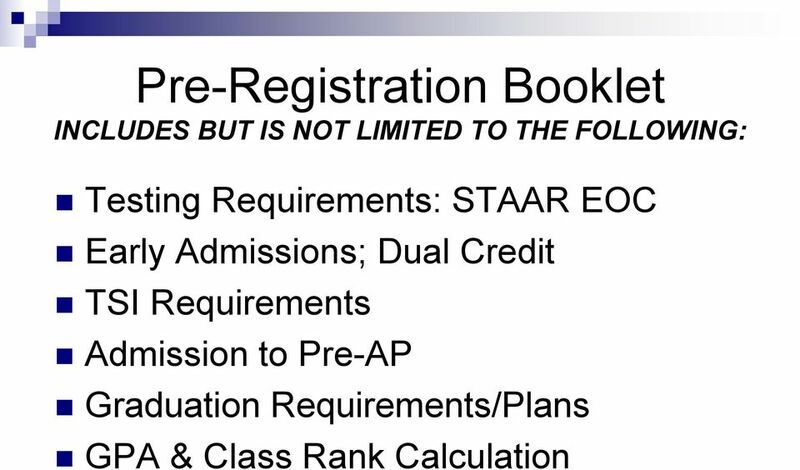 Students on the Recommended Plan may take Dual Credit courses and AP exams, but they are not required to do so. 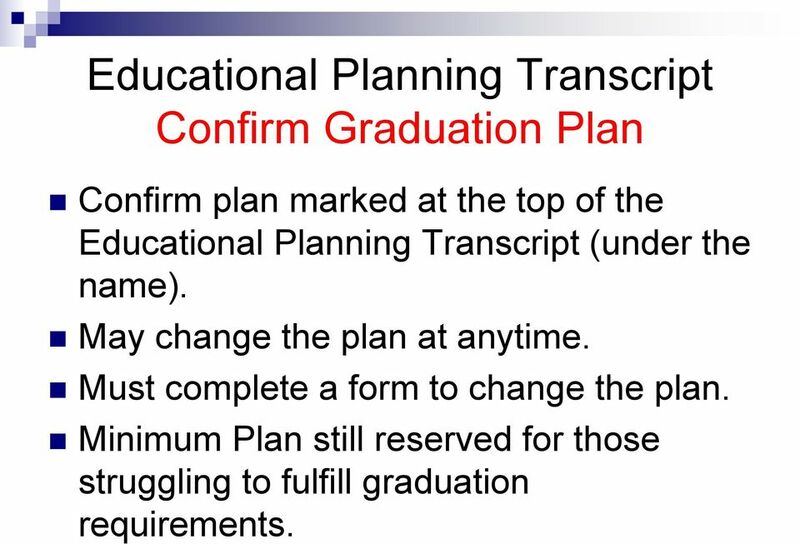 8 Educational Planning Transcript Confirm Graduation Plan Confirm plan marked at the top of the Educational Planning Transcript (under the name). May change the plan at anytime. Must complete a form to change the plan. 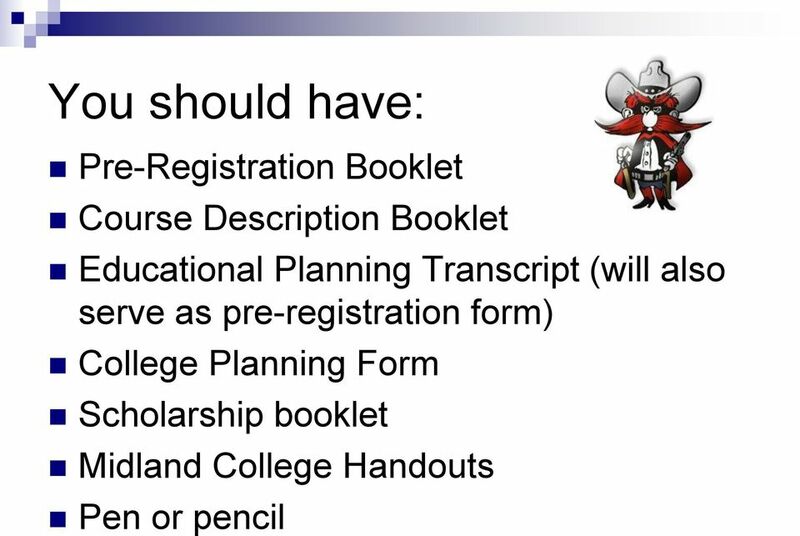 Minimum Plan still reserved for those struggling to fulfill graduation requirements. 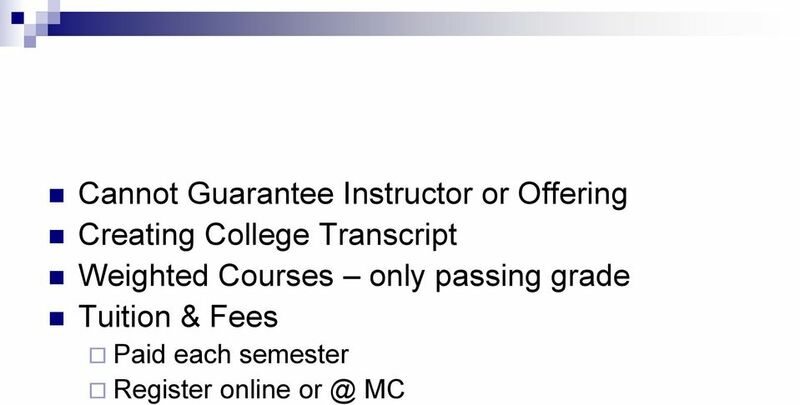 13 Spanish 3 (Span 1411) One semester only (Not weighted on GPA) Speech (Speech Public Speaking) (Not weighted on GPA) Available Semester 2. 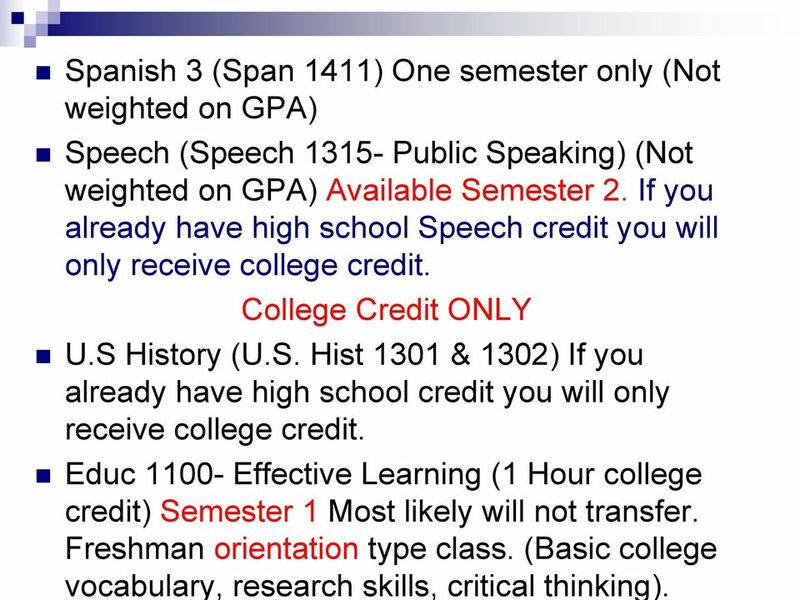 If you already have high school Speech credit you will only receive college credit. 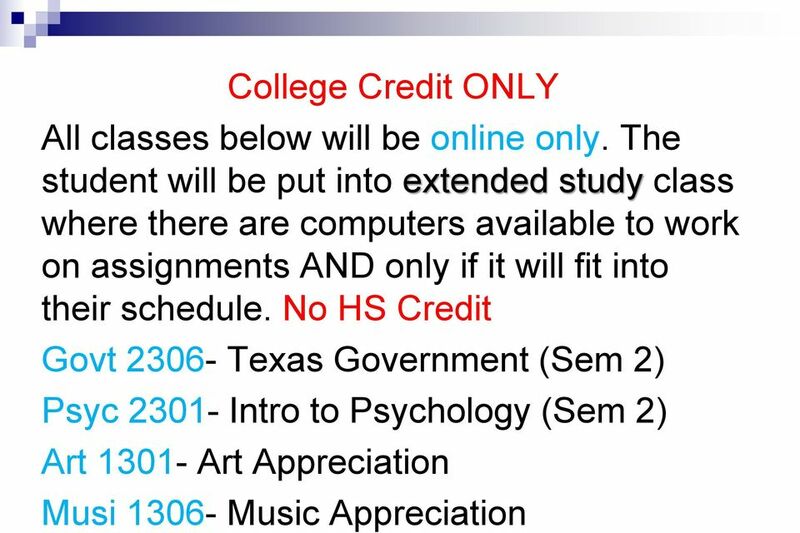 College Credit ONLY U.S History (U.S. Hist 1301 & 1302) If you already have high school credit you will only receive college credit. 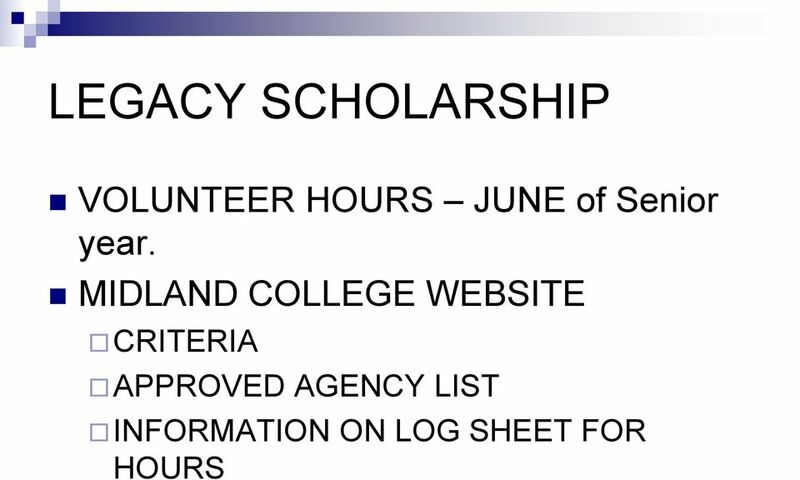 Educ Effective Learning (1 Hour college credit) Semester 1 Most likely will not transfer. Freshman orientation type class. 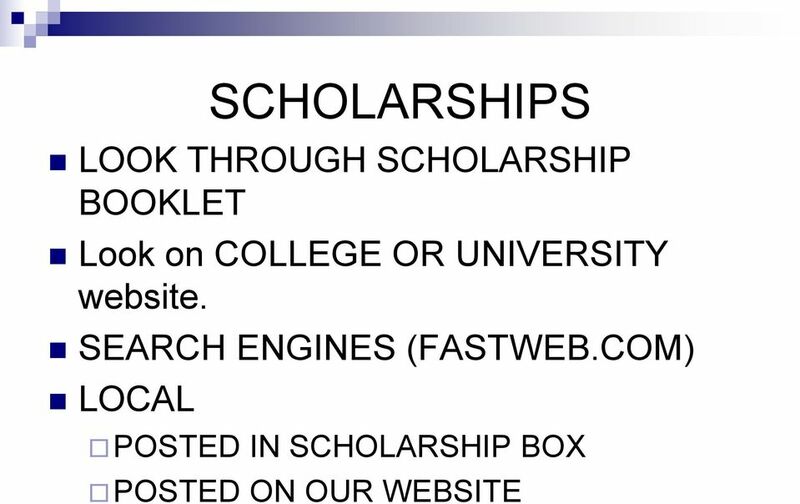 (Basic college vocabulary, research skills, critical thinking). 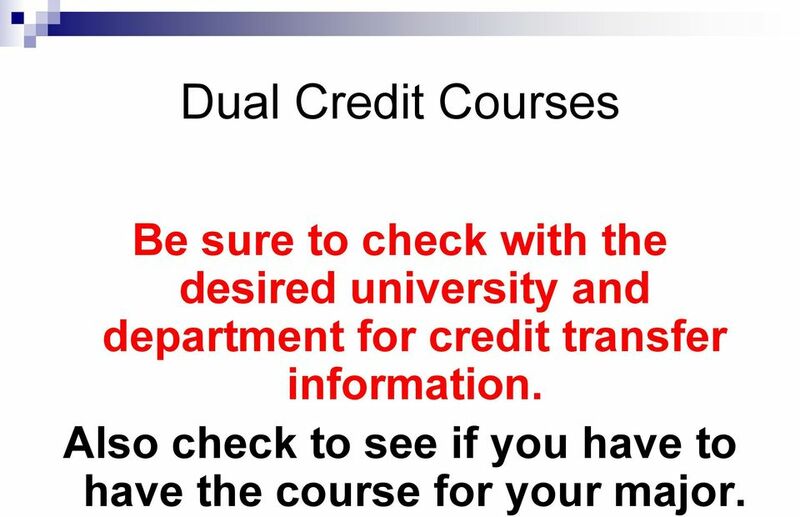 18 Dual Credit Courses Be sure to check with the desired university and department for credit transfer information. 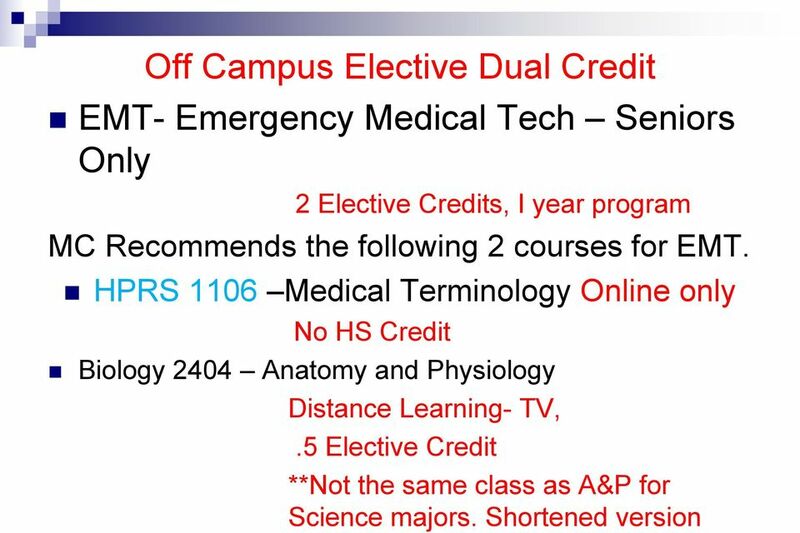 Also check to see if you have to have the course for your major. 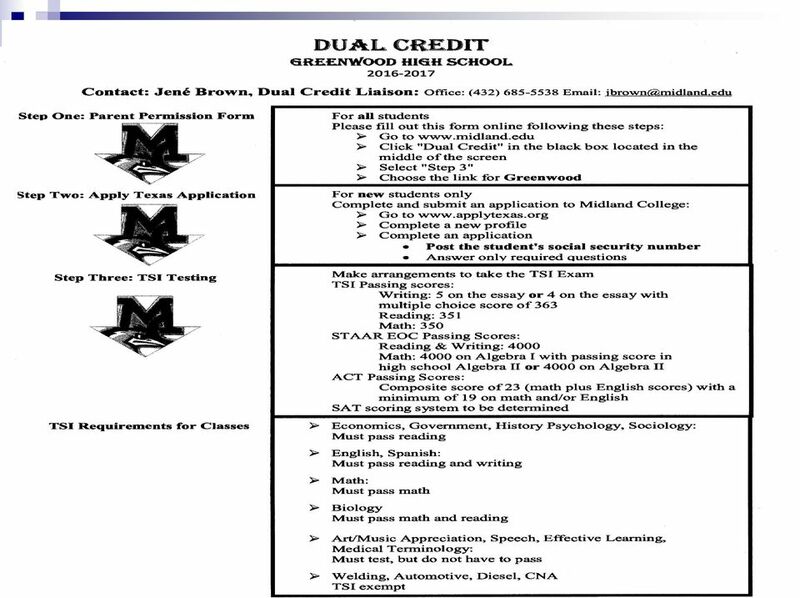 20 Choosing Classes Year 16/17 ENGLISH 4 If you want to take Dual Credit English Mark DC beside English. 21 CHOOSING CLASSES Math If you are currently taking Math Models you will take Algebra II If you are currently taking Algebra II you will take Pre-Cal. 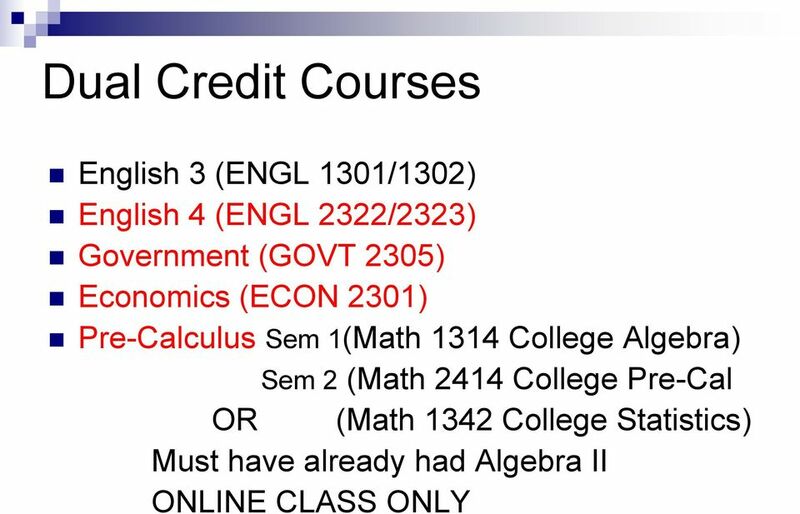 If you have taken Algebra II you may take Dual Credit Pre-Cal If you have taken Pre-Cal, you may take AP Calculus. 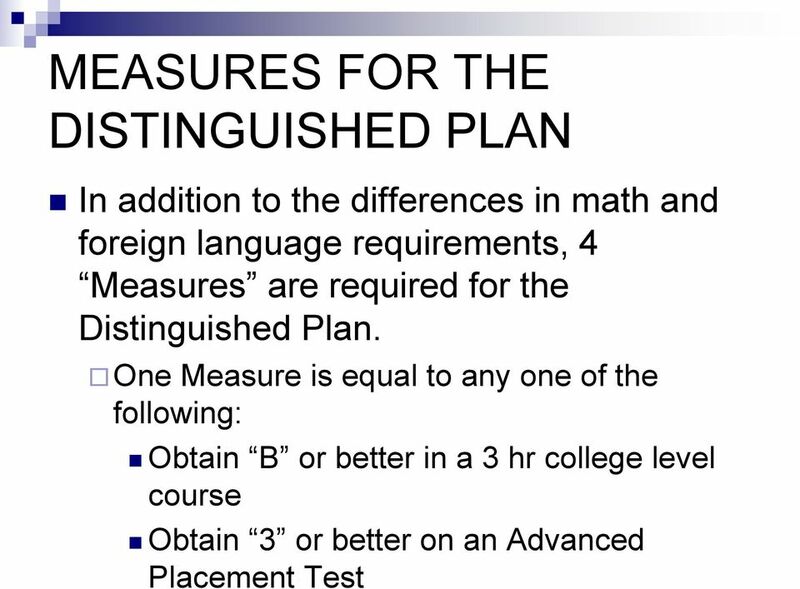 22 Keep in Mind Distinguished Plan: Algebra II, Precal Math Models is not a math credit on the Distinguished Plan. 23 SCIENCE 4 th Science If you are currently taking Chemistry you will choose Physics. 4 th Science: Environmental Systems, Forensics or Anatomy and Physiology are the 4 th Science for students who do not wish to take an AP science course. AP classes are available for AP Biology or AP Physics either of which will satisfy the 4 th science requirement. 31 Electives On Selection Sheet PLEASE mark an alternate class with a 2. This will indicate a second choice in case first choice is full. 33 MC Electives Remember MC Electives will count as 2 classes. 35 Course Selections Please be aware that this process completes your course request for next year. It is not a guarantee of class availability nor is it an assurance of scheduled classes. 36 Course Selections Be sure to indicate Alternates as requested. 37 Educational Planning Transcript Form Once all students have filled out requests, a copy of each student s selected courses will be mailed home. 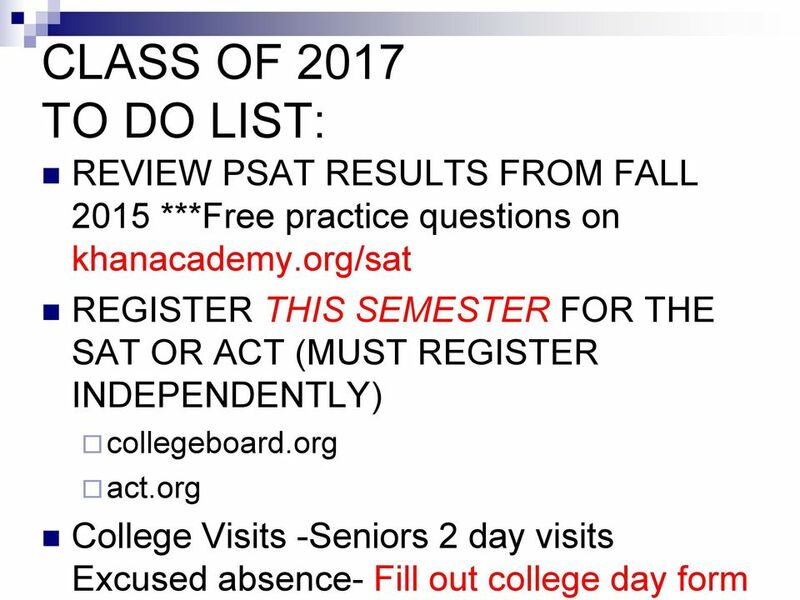 38 CONTACT INFORMATION Vickie Liles, Counselor Please watch for the Counselor s Update that is available online and sent home with students every six weeks.